Prepare to be taken into a beautiful musical reverie you haven’t experienced before! 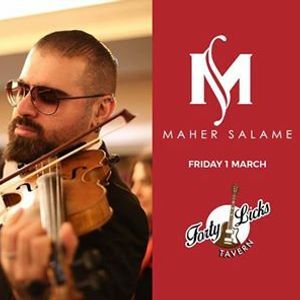 “The world’s first electro-oriental-violin cross-over Artist” Maher Salame will be playing live on stage on Friday March 1st. 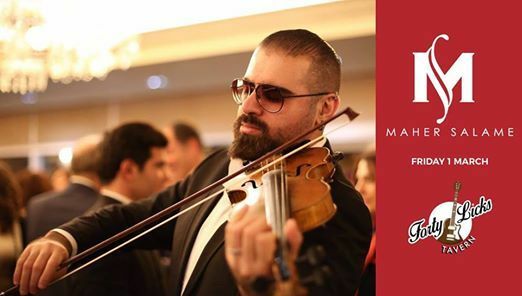 Born and raised in a musical family, Maher mastered the sounds of violin, piano, classical and oriental music. He has produced music and played along several renowned artists such as Jihad Akl, Raul Di Blasio, Guy manoukian and many more.